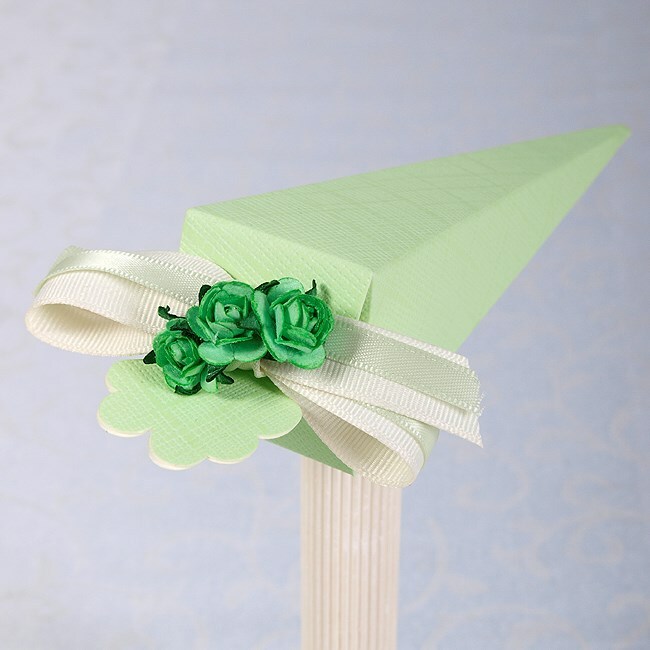 New and on trend for Spring and Summer weddings, our delicate pastel green silk wedding favour boxes are ideal to add that special subtle touch to your reception wedding tables. Finished with pretty colour matched tea roses and tied with luxury grosgrain and satin ribbon. Fillings of your choice from traditional sugared almonds to luxury chocolate hearts.